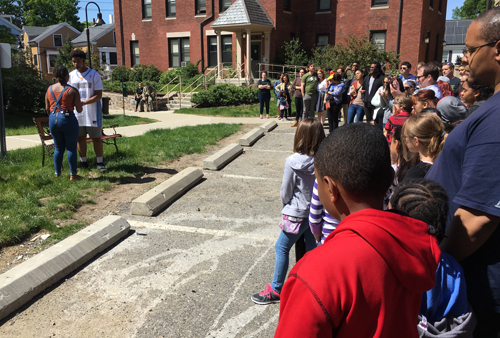 This year for the first time ever, and with support from Mass Cultural Council’s Amplify grant, Hyde Square Task Force (HSTF) youth and staff undertook the immense challenge of co-writing and co-producing an original musical. 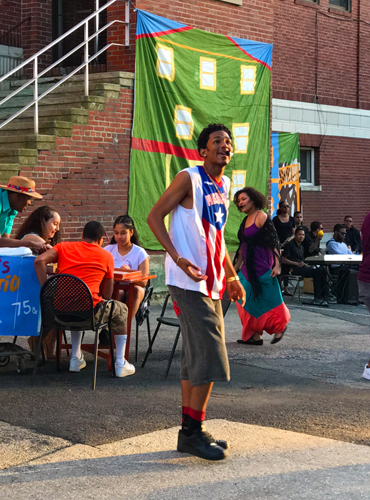 What came out of that process was El Barrio: Boston’s Latin Quarter, an interactive show featuring the stories of countless immigrants and hard working families that have contributed to the fabric of the community in the Hyde/Jackson Square neighborhood of Jamaica Plain. Orlando is a is one of the lead character and was played by Victor, one of HSTF’s youth dancers. In a true show of Amplify’s spirit, Victor and his peers from HSTF’s Ritmo en Acción Afro-Latin dance team co-choreographed original pieces for the musical, derived from bachata, merengue, salsa, and Latin-infused hip-hop. 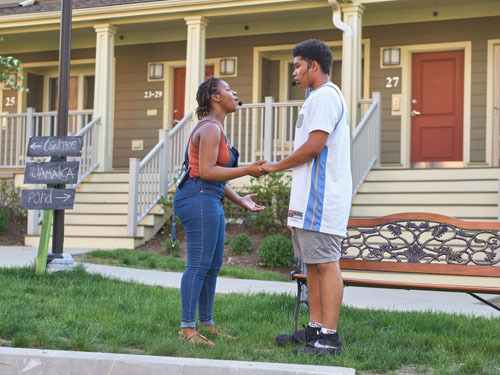 For the first time, Ritmo dancers collaborated extensively with their peers on the Music and Theater teams to produce this musical, using their neighborhood as a moving stage. Ritmo dancers, working with Program Coordinator Audrey Guerrero and Resident Artist Angeline Egea, choreographed steps to original songs written and performed by youth musicians, and followed stage direction and cues from youth on the Theater team. Hundreds of community members took part in matinee and evening performances, traveling through the show with performers. Through dance and through the arts, this young group shared the history of their community, while growing outside of their primary artistic disciplines and leading this exuberant demonstration of the power of creative youth development. HSTF youth and staff eagerly await the next opportunity to showcase the stories, values, and potential that defines their community. See more photos from El Barrio: Boston’s Latin Quarter Musical.